What do the world's most successful companies and organization have in common? And what can you actually take away and use from their examples? Distilling the best fundamental business strategies, trusted advisor and strategist John Spence helps you take a hard look at your business and together develop specific plans and action steps that will allow you to dramatically improve the success of your company. 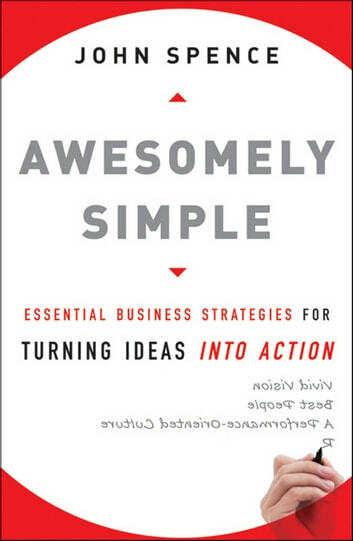 Delivered in Spence's approachable and straightforward manner, Awesomely Simple reveals the six key strategies that create a foundation for achieving business excellence: Vivid Vision, Best People, A Performance-Oriented Culture, Robust Communication, A Sense of Urgency, and Extreme Customer Focus.